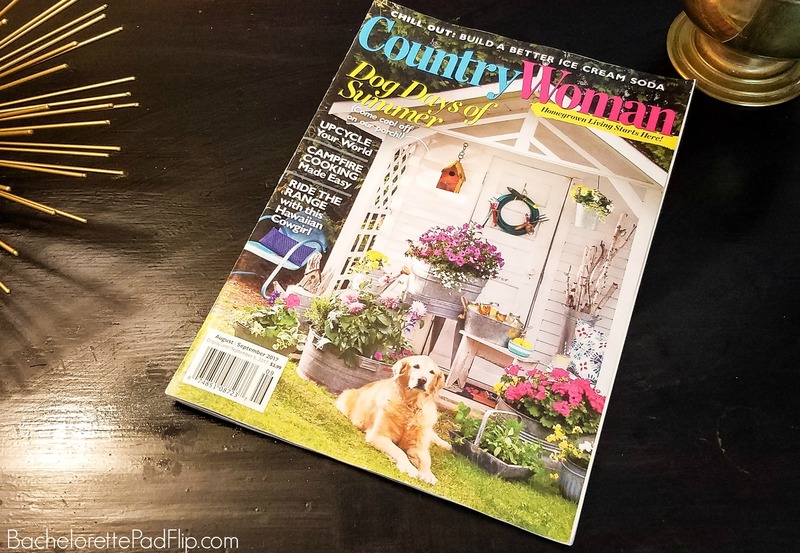 Earlier this year I was contacted by Country Woman magazine about a feature they’d like to do about one of my projects. Whaaaaaat? I thought maybe they were pranking me, but after seeing it in person, it’s the real deal. 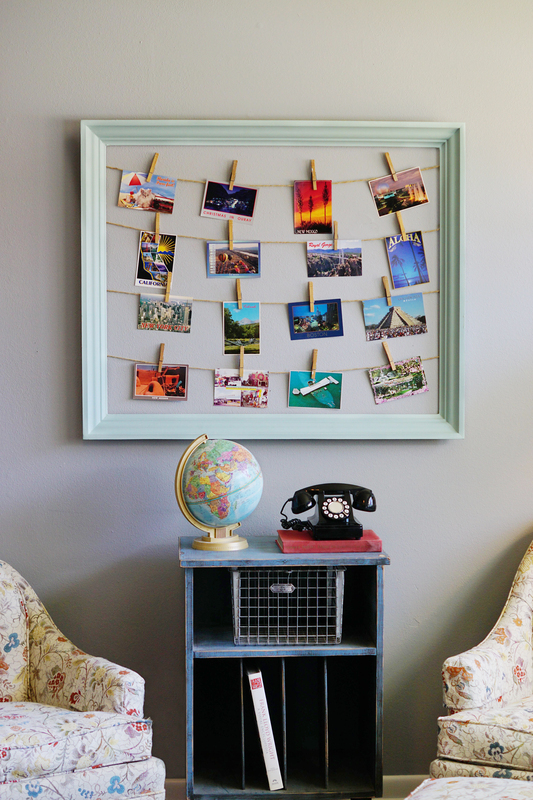 Without question, one of my most popular DIY projects is my postcard/Christmas card display. I think it’s so popular because it’s so easy and fulfills a seasonal need at Christmas. Country Woman liked that aspect and asked to feature the project in their August/September 2017 issue. It’s such a cool honor to have projects featured! When I started this blog, it was really serving just as a journal for me– to remember paint names, product references, etc. Obviously since then it has evolved and given me some really cool opportunities- like this one! It’s such a cool and humbling experience to pick up a printed magazine and see my project and my profile on the pages. 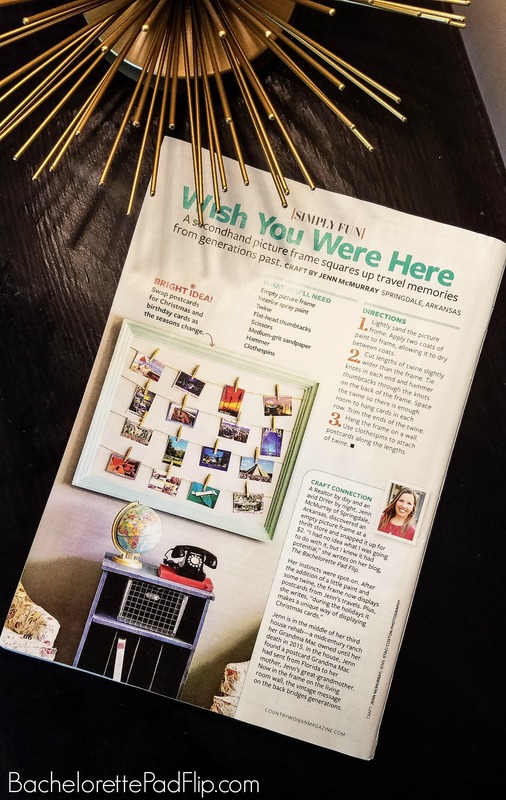 I grew up with my mom having an annual subscription to Country Woman magazine, so it’s even crazier to now see me on the pages of this magazine. Like I said, this blog didn’t start out as a “publication” but a journal to keep track of my projects. Over the course of time, it has obviously evolved. It’s not just a “house flipping blog,” I dabble in DIY projects, money saving and real estate tips, and of course room transformations. It’s been a fun journey to chronicle my flips, my projects, and now my features. A special aspect of the Country Woman feature is that it doesn’t just highlight the project but tells the story of Flip 3 and my Grandma & Grandpa Mac! 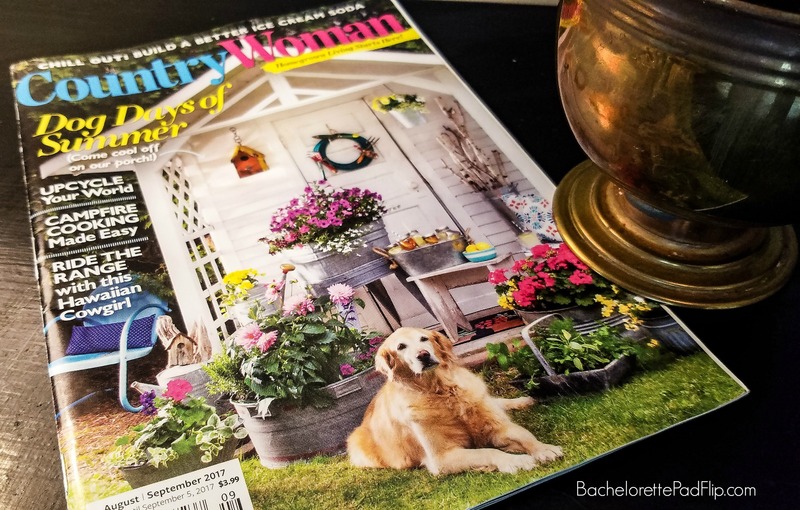 If you want to pick up a copy of this issue of Country Woman, they’re available wherever magazines are sold- like Barnes and Noble. Thanks for sticking around this blog and for reading. It’s a fun journey that I don’t plan to end anytime soon! This awesome! And well deserved.